In 1831 and again in 1833, Waugh and Innes of Edinburgh published a history of Liberia by ‘Minister of the Gospel’ William Innes. In his Liberia: Or, The Early History & Signal Preservation of the American Colony of Free Negroes on the Coast of Africa, Innes describes the founding, structure, and struggles of this West African colony, founded in the early 1820’s as a haven for free and previously enslaved people of African descent and for ‘recaptives’ rescued from the newly illegal transatlantic slave trade. Innes was an alumnus of the University of Edinburgh, an ‘independent’-minded Presbyterian and then Baptist minister, one-time chaplain of Stirling Castle, missionary, bookseller, and author of over two dozen books and other publications, mostly on religious topics. The titles of his publications, such as Reasons for Separating from the Church of Scotland (Dundee, 1804), Christianity, the Only Effectual Support Under the Afflictions of Life (Edinburgh, 1810), Domestic Religion, or an Exposition of the Precepts of Christianity Regarding the Duties of Domestic Life (Edinburgh, 1822), and Instructions for Young Enquirers (Edinburgh, translated into Gaelic 1827) indicate why this otherwise mostly theological writer decided to write a history of a colony. As we shall see, this reform-minded man viewed Liberia as a worthy project within the larger goal of uplifting lives as well as souls. Although Innes’ account includes some discussion of the hardships faced by the colonists trying to build a community in and wrest a living from this unfamiliar and somewhat hostile territory, he presents a generally positive view of the experience and prospects of the Liberian colonization project. Indeed, Innes seems anxious to convince his readers that the colony could not only exist and thrive, but that it should. As we shall see, Liberia is, to Innes, a project of community-building in line with ordered nature and with American beliefs in democracy, self-sufficiency, and the sense of social harmony necessary for a united and healthy political community. In interrogating this text, then, we are led to ask: how are ideas about citizenship and belonging implied and described in Innes’ history of Liberia, how do they relate to the lived experiences of Amero-Africans in the United States and Liberia, and how are these ideas challenged? Innes commences his history with a discussion of the historical conditions in which this colonization movement arose. 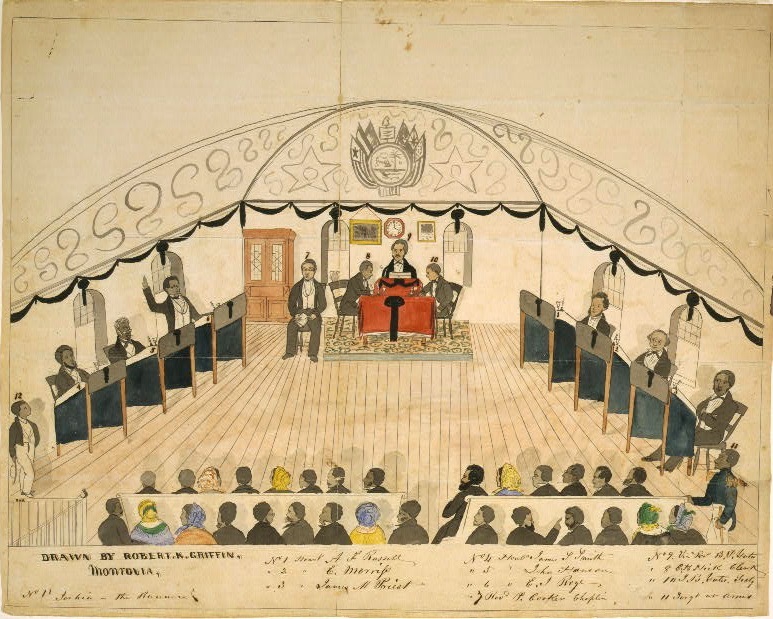 The American Colonization Society (ACS) was founded in November of 1816 as a benevolent institution dedicated to the long-conceived but as yet unsystematic scheme of colonizing black inhabitants of the United States to Africa, the continent of their ancestral origin. As Innes and many others saw it, including many abolitionists and proslavery advocates alike, black people could never live peacefully side by side with white Americans. Innes writes that all black persons are ‘branded by their colour as an inferior caste.’ He argues that so long as they live as an ‘inferior’ class within the general community of free persons, both black and white will suffer the ill effects of living in a mixed-race society, made up as it is of people with necessarily disparate natures and irreconcilable interests. So long as people of African descent live within the mainstream white American community, the majority of the former will remain ‘idle, ignorant, vicious’ as a result of their disfavor, and cites as an example of this that ‘in many cases the free negroes are a great annoyance to the community, often living by pilfering the property of their neighbors.’ Therefore, Innes explains, the only way that people of African descent can create communities to which they naturally belong is to form them separately from white communities, and the best place to do so is by establishing their own communities in the continent of their ancestor’s origin. In doing so, they can enjoy the rights and privileges of citizens with others who share their place in the racial hierarchy. In his majority opinion for the United States Supreme Court 1856 decision in the Dred Scott v. John F. A. Sandford case, which exacerbated the divisive political issues of slavery and race that helped spark the United States’ Civil War, Chief Justice Roger Taney agrees with Innes’ theory of natural racial separation. He likewise believes that human beings are manifestly and naturally separated into inferior and superior races that cannot form a united political community. Ideas such as Innes’ and Taney’s permeated political debate and policy in the United States for decades to come, widely disenfranchising black Americans and relegating them to second-class citizenship throughout the nation. 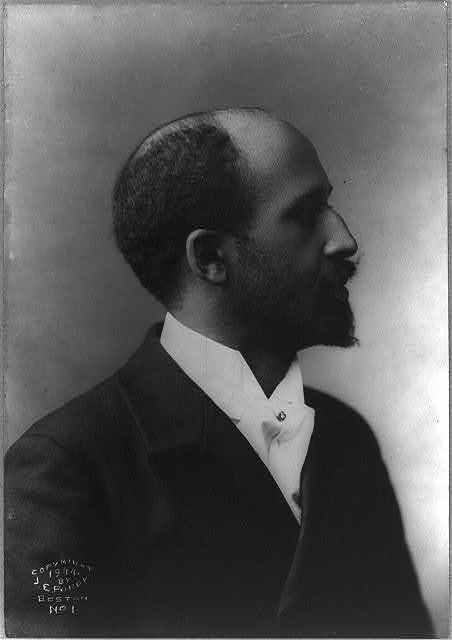 Innes and proponents of Amero-African colonization, Taney and other racial hierarchists, and pan-Africanists like Dubois share a belief that there is something about a common African descent and shared experiences, however combined with ethnic descent and acculturation from elsewhere, which creates a natural community. Such natural communities, in turn, create opportunities for citizenship that cannot be enjoyed at all, or at least not fully, in any other context. These ideas are in tension throughout Innes’ account of how West African colonies came to be and the way they persisted despite significant challenges and hardships. These challenges arose within the colonies themselves and from conflicts between colonists and the ecology, and between colonists and their native African neighbors. Innes’ account of the difficulties faced by the Liberian colonists differs significantly in many respects from later scholarship and from other contemporary accounts. In Innes’ account, these difficulties are relatively minor compared to the benefits the colonists enjoyed as citizens of a new community to which they rightly belonged. The contrast between Innes’ account and other contemporary accounts backed up by later scholarship imply that Innes’ driving concern to use Liberia as a positive example of how racially-based communities are formed biased his very favorable presentation of the colony. …[T]roughout the non-slaveholding states, the negroes form a distinct race, branded by their color as an inferior caste; regarded with a species of loathing when thought of as companions, and for ever shut out from the privileges of the white men by whom they are surrounded. Be it prejudice, or founded on reason, the feeling of dislike mutually exists… .No matter what may be their industry and sobriety; no matter what their attainments in science, or their character for morality, they can never hope to pass the broad line of demarcation, or assume a station of equality with the other members of the community. Racial hierarchists like Taney share the ‘species of loathing’ which Innes describes. Today, Innes’ and Taney’s descriptions of race relations are difficult to read, especially Taney’s. For one, they conflict with contemporary thoughts and sensibilities about race which are, in the main, orders of magnitude more optimistic about the likelihood that people of various races and ethnicities can meaningfully share and participate in communities as social and political equals. For another, they don’t ring true, especially in Taney’s harsh Dred Scott account of the social and political issues of race in America. After all, there were many mixed-race communities in which black Americans lived relatively safely and peacefully alongside their white neighbors even given the national tensions over issues of race. Leading black abolitionist and orator Frederick Douglass settled in one such community, New Bedford, Massachusetts, following his escape from slavery in Maryland in 1838. Taney’s opinion reads very much like a partisan political document and presents a wholly dismal picture of both the capabilities and prospects of people of African descent. Innes’ commentary, on the other hand, presents a more mixed though still racially hierarchical view. On the one hand, he implies in the selection above and makes clearer elsewhere that he believes people of African descent are fully capable of ‘industry and sobriety,’ of morality, of worthy and admirable attainments, of being ‘provident’ and ‘respectable,’ of conducting ‘affairs of empire,’ and so on. Yet Innes does not believe they are capable of this, on the whole, so long as they live in communities among their white racial ‘superiors.’ Removal from white society and colonization with others of their own racial heritage, then, is the answer. Yet all the qualities that Innes enumerates as making people belong within communities and which he characterizes as those of good citizens, he already ascribes to Americans of African descent. We can see this most clearly in the passages in Innes’ history where he describes the contrast between Amero-African colonizers and the beneficial and ‘civilizing’ influence that they exert on their native Africans neighbors. In matters of language, religion, dress, morality, ability, education, and so on, they are in turn, deems Innes, superior to their native African neighbors and the latter, recognizing this, wish to emulate them. We can also recognize Innes’ conflicting views in the terms he chooses to refer to the Amero-African colonists and the native African peoples in their territorial conflicts. When describing the participants and victims of battles, Innes refers to Amero-Africans and their native African allies in such terms as ‘woman’, ‘men,’ ‘persons,’ ‘mother’, ‘the people’, and so on. By contrast, Innes refers to native Africans primarily by terms such as ‘barbarian,’ ‘savage’, ‘enemy’, and ‘wretches’, characterized by ‘moral deformity.’ This implies that for Innes, civilization can depend on culture, virtues, religious beliefs, and modes of comportment rather than race. The very qualities that make people belong to a community and become good citizens can and are often held by Amero-Africans whatever side of the Atlantic. As we can see in the selection above, Innes concedes this even as he explains why black people cannot belong within American white communities. He allows that black individuals can and do ‘rise above their degraded brethren’ and exhibit such good-citizenship qualities as ‘character for morality’ and ‘industry and sobriety,’ capable of ‘mak[ing] attainments in science’ and so forth. Innes, then, presents two very distinct conceptions of belonging, citizenship, and race which are, if not in direct conflict, at least in tension with one another. Perhaps Innes resolves these conflicting ideas about race and belonging to his own satisfaction through his appeal to divine approval. Innes, as a ‘Minister of the Gospel,’ looks for and finds signs of God’s will that the Liberian colony survive. He argues that God must approve of removing black people to Liberia because the preservation of Liberian colonies is unlikely otherwise given the obstacles they faced, which in turn shows divine approbation of this racial separation. The idea of divine arrangement of peoples into natural types and nations which pervades Innes’ history resembles such racially hierarchical theories as Taney’s. However, Innes’ view of racial ordering displays more divine benevolence for the black race even as it is extremely patriarchal. Innes perceives a divine will that all people of African descent be redeemed through their separate political and religious institutions. This will best be brought about first by separating the races into naturally sympathetic racially divided communities, and then locating those communities in places where they can spread the gospel of Christ to others of the same race who have not yet received it through the establishment of colonies. The colonizers were then placed in a position to help bring about the divine will in the world such as providing a Christian example to their African neighbors and helping to end the ‘evil’ and ‘dreadful malady’ of the slave trade. Yet Innes’ overall sunny take on the lived experience of the Liberian colonists contrasts with contemporary and later accounts of the Liberian experiment. Douglass, for example, is skeptical of the glowing accounts of the colony’s success as well as of its prospects of helping to end the slave trade; he questions the motives and therefore the accuracy of those offering glowing accounts of the colonization effort’s success. Innes’ account is one which invites such skepticism. He considers the ‘signal preservation’ of the colony a sign of God’s approval but does not consider the severe hardships that he chooses to cite such as supply shortages, attacks from neighboring tribes, difficulties raising crops, the fact that they had to wrest the colony’s land concession from Dei ‘King Peter’ at gunpoint, and the high rates of disease and death as signs of God’s disapproval. Innes seems to minimize the hardships in Liberia as he follows every mention of them with an immediate qualification or comparison, such as citing the early American colonies’ struggles or remarking that the Liberian colonies could have suffered worse. He goes so far as to dismiss symptoms of illness as mere climatic adjustment reactions of healthy bodies, though he does admit that many died. According to historian Claude Andrew Clegg, however, the colonists often suffered extremely high rates of hunger, disease, privation, and mortality. 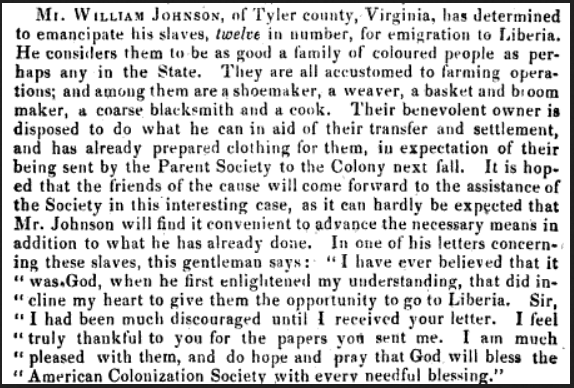 Clegg also cites many examples of the colonists’ difficulties, including the telling example of Emily Hooper, a young colonist who, after an extraordinarily difficult and expensive effort on her father’s part to obtain her freedom and fund her journey to Liberia, decided to return to slavery rather than further suffer the hardships of the colony. This episode was a great embarrassment to the ACS. In addition to the evidence of hardship and mortality in many reports, accounts like Innes’ are roundly challenged by argument and even ridicule. 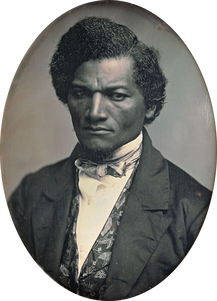 One particularly scornful and influential critic of the colonization scheme was Douglass. Indeed, except for the fact that he actually refers to [news]paper accounts in his ‘Persecution on Account of Faith, Persecution on Account of Color’ address delivered in Rochester, New York in 1851, it would be reasonable to assume that Douglass was referring to Innes’ history when he observed: ‘Papers that never speak of colored men in this country but to abuse and slander them, speak in the most flattering terms of …Liberia.’ To Douglass, arguments such as those offered by Innes and American statesman Henry Clay, who recommend the removal of black people from American society due to idleness, lawlessness, and other perceived flaws invite a counter-question: ‘Suppose we should admit… that we are degraded and dissolute, as a class; are there no other degraded and dissolute people?… Who talks of their expatriation?’ to which he answers: ‘No one.’ Douglass also mocks the idea that colonization movement will weaken slavery as an institution. It’s the presence of free black people in slave states that help weaken slavery by demonstrating to the enslaved that there is another way they can live in America. Removing free black people to Africa, argues Douglass, removes this constant and substantial threat to slaveholders’ desire to rule unchallenged over a docile, resigned slave population. Throughout his early history of Liberia, Innes wavers but does not stray far from his theme of Liberia as a natural home for Americans of African descent. His explanations for how and why Amero-Africans, acculturated to the United States in language, morals, religion, dress, and overall ways of life nevertheless belong in a land which most have never seen are not, as we have seen, entirely consistent. Why Amero-Africans can only successfully gain a sense of belonging and engage as citizens in a place where they are outsiders in every way except skin color is also not satisfactorily explained; indeed, Innis presents Liberia as if it were the only alternative to black Americans continuing to live in a state of political and social exclusion and oppression in mainstream white American society. Innes offers the ‘signal preservation’ of the Liberian colony as proof of its value to God and humankind as well as of its eventual success, but glosses over any consideration that the terrible hardships and dangers that the colonists had to face were evidence to the contrary. Others such as Douglass, however, perceive the flaws in the explanations and evidence that Innes offers, and presents both counterevidence and counterarguments that helped undermine support for the colonization project over the decades of its existence. Akpan, M. B. “Black Imperialism: Americo-Liberian Rule over the African Peoples of Liberia, 1841–1964.” Canadian Journal of African Studies/La Revue Canadienne Des études Africaines 7, no. 2 (1973): 217-36. Clegg, Claude Andrew. The Price of Liberty: African Americans and the Making of Liberia. 2004. Douglass, Frederick. Autobiographies. New York: Library of America, 1996. Douglass, Frederick, and John W. Blassingame. The Frederick Douglass Papers. Series 1, Speeches, Debates and Interviews; John W. Blassingame, Editor. Vol.1, 1841-46. New Haven; London: Yale University Press, 1979. Du Bois, W. E. B., and Herbert Aptheker. Dusk of Dawn. 1975. Scott, Hew. Fasti Ecclesiae Scoticanae: The Succession of Ministers in the Church of Scotland from the Reformation, Vol. IV: Synods of Argyll, and of Perth and Stirling. Edinburgh: Oliver and Boyd, 1923. Geiss, Imanuel. The Pan-African Movement. London: Methuen, 1974. Staudenraus, P. J. The African Colonization Movement, 1816-1865. London: Oxford University Press, 1961. West, Richard. Back to Africa: A History of Sierra Leone and Liberia. New York: Holt, Rinehart and Winston, 1971.